The effects of climate change can already be felt around the world, and they will likely impact all facets of human civilization—from health, livelihood security, agricultural production, and shelter to international trade. Since anthropogenic factors are mainly to blame for the current trends in global warming, human intervention will be necessary to mitigate it. 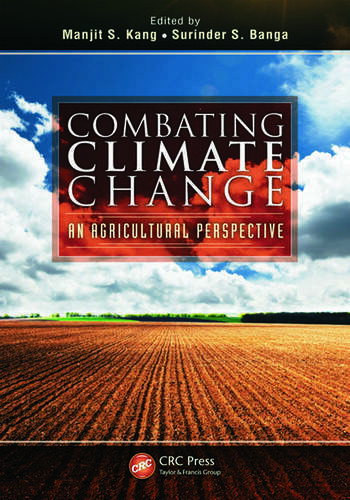 With 17 authoritative chapters, Combating Climate Change: An Agricultural Perspective outlines a framework for preparing agriculture for climate change, presenting the causes and consequences of climate change and possible remediation measures. 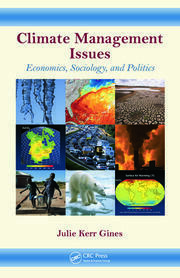 With contributions from internationally recognized scientists, the chapters cover global food security, adaptation of agriculture to fulfill its greenhouse gas emissions mitigation potential, economic aspects of climate change, the soil organic carbon pool, the need for agroecological intelligence, and the development of nutrient-use-efficient crops. The text also addresses genetic mitigation of climate change effects through the development of climate-resilient crops and the use of genetic and genomic resources to develop highly productive crop cultivars, as well as the conservation of native agroecosystems. Expert contributors discuss the impacts of climate change on plant pathogens and plant disease as well as on insects and crop losses. They address abiotic stress resistance, conservation tillage as a mitigation strategy, and more. The final chapter demonstrates the practical use of the WorldClim and DIVA software for modeling current and future climates, using Timor Leste and India as examples. 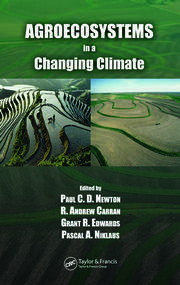 Covering a broad range of issues related to climate change and agriculture, this book brings together ideas for environmentally friendly technologies and opportunities to further increase and stabilize global agricultural productivity and ensure food security in face of mounting climate challenge. Dr. Manjit S. Kang is a plant geneticist and is currently an adjunct professor in the Department of Plant Pathology at Kansas State University, Manhattan. He received a Ph.D. from the University of Missouri, Columbia, USA. He specializes in quantitative genetics as applied to crop improvement. His expertise is globally recognized. Dr. Kang has lectured internationally on quantitative genetics as applied to crop improvement. He has edited/authored several books and has published 140 refereed journal articles in prestigious international journals, 40 book chapters/encyclopedia essays, and 135 other technical publications. He has received several prestigious honors and awards from various organizations and is a fellow of the American Society of Agronomy and Crop Science Society of America. Dr. Surinder S. Banga received a Ph.D. in plant breeding from Punjab Agricultural University (PAU), Ludhiana, India. He holds a prestigious ICAR national professor chair in the Department of Plant Breeding and Genetics at PAU and served as the head of the department from 2009–2010. He leads the Brassica group at the University, which has developed many innovative research programs on oilseed Brassicas. The group’s research primarily aims at germplasm enhancement with a focus on heterosis, polyploidy, and wide hybridization. He has published extensively in journals of international repute. In addition, he has edited two well-received books. He has chaired several crop breeding sessions and delivered invited lectures at national and international conferences. "Experts consider plant pathogens, plant disease, insects and more as they consider the latest options for handling future climates. 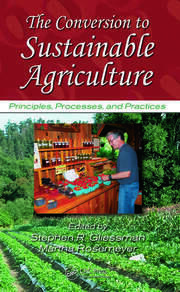 The result is a powerful recommendation for any college-level student of agriculture or environmental science."